A blog about books, book reviews, book giveaways and needlepoint projects. Where I share my love of books with reviews, features, giveaways and memes. Family and needlepoint are thrown in from time to time. 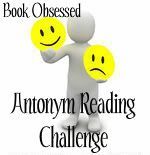 All of these challenges have something specific that they are looking for in either the title of the book, or the cover. I like these kind of challenges because sometimes you have to hunt for just the right book! For every letter in the word "2012" (two thousand twelve) you should find something on the cover that starts with that letter. A book with "Blue" in the title. A book with "Red" in the title. A book with "Yellow" in the title. A book with "Green" in the title. A book with "Brown" in the title. A book with "Black" in the title. A book with "White" in the title. A book with any other color in the title (Purple, Orange, Turquoise, Pink, Magneta, etc.). A book with a word that implies color (Rainbow, Polka-dot, Plaid, Paisley, Stripe, etc.). Spell out your name in book title first letters. 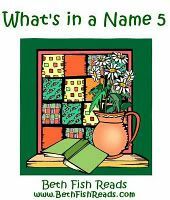 You can use your whole name, your first name, blogger name, nickname, pet's name, favorite literary character's name, etc. Books: My real name is Kristina, but I go by Kristi - so I am committing to Kristi and will add the "na" as a bonus. 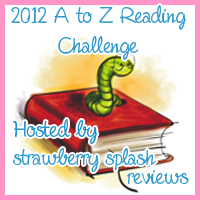 Must review - books must be read by Dec 31, reviews completed by Jan 31, 2013. 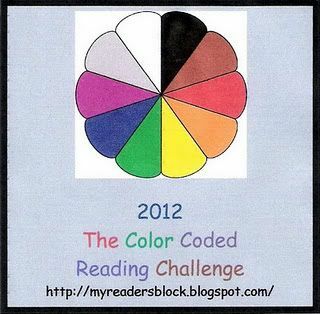 Read a book each month with the assigned color in the title. There will be a prize for EVERYONE who posts EACH MONTH and completes ALL COLORS. Books must be at least 200 pages or ebook equivalent. Thanks for joining the Color Coded Challenge! I look forward to seeing what titles you find this year. I'm sorry, but your browser does not support iframes. I am accepting books for review at this time. If you would like to get in touch with me, just send me an email at bookbloggerkristi (@) gmail (.) com. Share book reviews and ratings with Kristi (Books and Needlepoint), and even join a book club on Goodreads. A Winter's Respite Read-a-thon Wrap-up! Winners of Dreaming of Books Giveaway Hop! Sign up to be part of an iPad 2 Giveaway! Winners of last two giveaways! Switched by Amanda Hocking - Giveaway!!! Kristi (Books and Needlepoint) has read 9 books toward her goal of 100 books. Visit Kristi (Books and Needlepoint)'s profile on Pinterest.